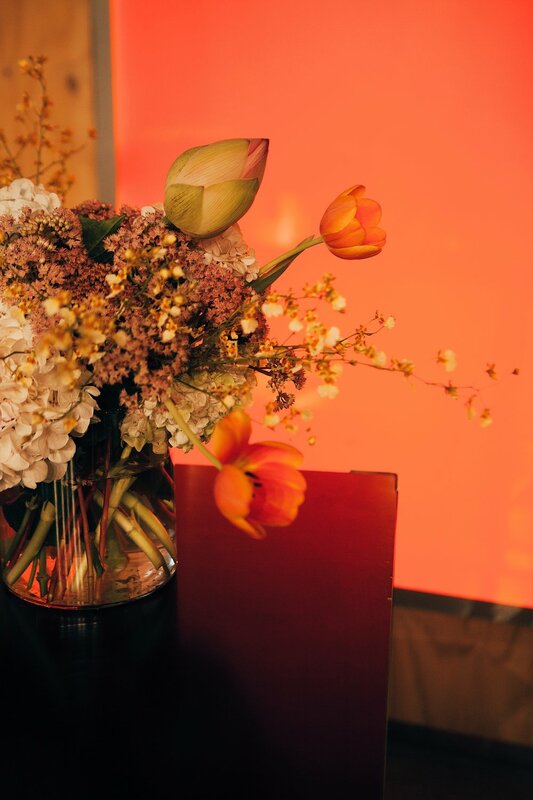 International Women’s Day 2019 marked her words’ second birthday, and we wanted to celebrate by bringing some of our favourite people together to discuss some big questions. In the wake of the big, exhausting year that was 2018, we wanted to come together to talk about mental health, self-care and burnout. What does it mean when you’re continually asked to 'be strong', achieve big things, and drive change? How can we honour the needs and limitations of ourselves and each other? What’s missing from the global self-care movement? Our amazing panel was led by Shantel Wetherall, producer and presenter of Hey Aunty! podcast, and she was joined by some brilliant guests. First was Tarneen Onus-Williams, Yigar Gunditjmara, Bindal, Yorta Yorta and TSI cis-woman, activist and intersectional feminist, who you may recognise from our series on sexual assault and victim blaming. 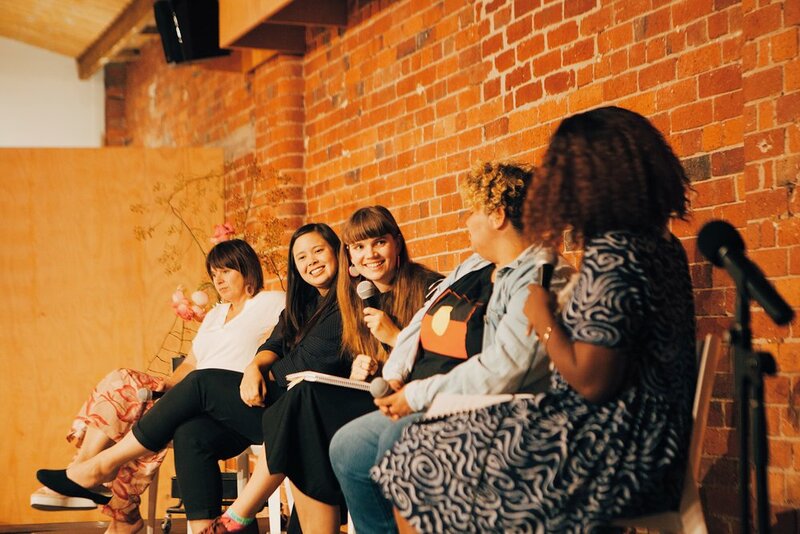 Leah Jing McIntosh, writer, photographer and founder of Liminal Magazine was also on the panel, alongside Honor Eastly mental health advocate and producer of No Feeling Is Final podcast, and Jo Mitchell, co-founder of The Mind Room and clinical psychologist. Leah added that within the framework of white supremacy, it makes sense that institutions wouldn’t care about the physical bodies of women of colour. She went on to discuss the ways in which living in a world that isn’t built for you is exhausting, and that is a struggle that women of colour deal with on a regular basis. The panel then went on to discuss how the healthcare system and healthcare workers need more cultural competency - that women of colour who do seek help for their physical or mental wellbeing often have to perform the emotional labour of teaching healthcare professionals about the unique problems they face. A massive part of changing that is having more healthcare providers who are people of colour, so their clients no longer need to explain their cultural context every time they need help. This led to a wider discussion of how we view mental health as a society and how that has changed over time. Honor made the point that the way we talk about mental health has come a long way which is really encouraging. But similarly, Honor noted that as a culture, when we want to humanise a group that has been stigmatised we simplify the narrative. The way we talk about mental health is by comparing it to other illnesses like diabetes or a broken leg - these comparisons don’t do justice to people’s lived experience which is so much more complicated and nuanced. From there, the panel discussed how mental health is based on a diagnostic model, which does a disservice to the thousands of years humans have spent trying to make sense of distress, trauma and hopelessness. In terms of strategies to help deal with these very human experiences, Leah mentioned the idea of finding community, and how significant that is in the age of the internet. It’s amazing being able to find people online that you can talk to about your deepest darkest feelings, and also use memes to express that - because sometimes memes are the most effective way to express one’s innermost angst and malaise. Wellness was another significant topic for our panel, and the ways they felt it had been co-opted by capitalism as a means of selling face masks. Shantal made the point that the kind of wellness that leans on capitalism is also one that makes it easy to hide from yourself - it’s all well and good to run a bubble bath when you’re feeling low, but it can be a means of distracting yourself from asking big, and sometimes difficult questions. Honor added that the work of becoming “good at life” is often embarrassing, slow, tedious and not something you want to admit to the world. Jo discussed the idea that over time, you may need to adjust to the fact that your resources will change - you might have more external resources like money, but internal resources like time and energy may be depleted. Sometimes, it’s important to remember that just because you were able to do something in the past, doesn’t mean you can necessarily do it now. It’s always important to check in with yourself, evaluate your resources, and notice the changes that occur over time. And of course, our audience was hungry for some self-care tips, and our panel offered some great insights. Spending time with community as a means to rest and re-energise was one, alongside drinking lots of water and getting enough sleep, plus hanging out with dogs at every opportunity and smiling when you feel able to. We would like to extend our thanks to all of our amazing speakers, the volunteers who worked so hard behind the scenes to make it all happen, and of course, our lovely audience who were so engaged, thoughtful and insightful. As we prepare ourselves for everything this year has in store, this panel was a hugely valuable opportunity for all of us to connect and spend time with our community. We can’t wait to bring you more inspirational words from amazing women in 2019 and connect with all of the amazing folks who have been supporting us for the last two years.